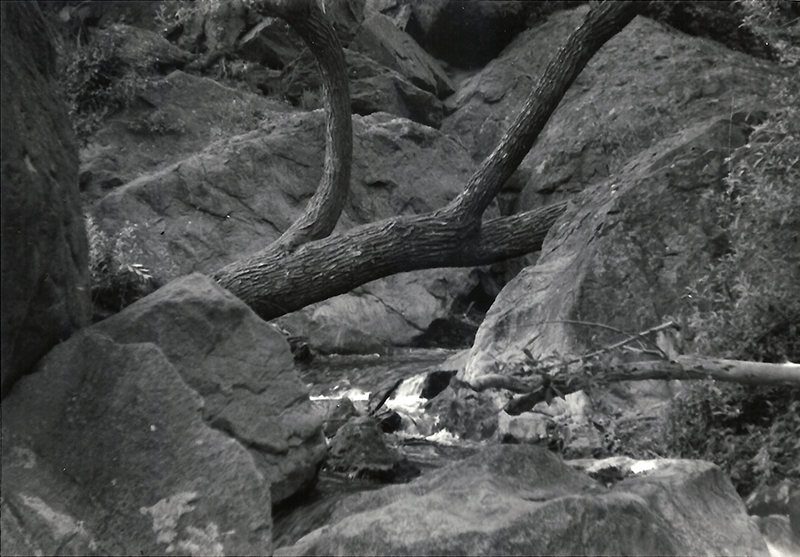 SCVHistory.com LP5402 | Bouquet Canyon | Bouquet Falls, 5-16-1954. 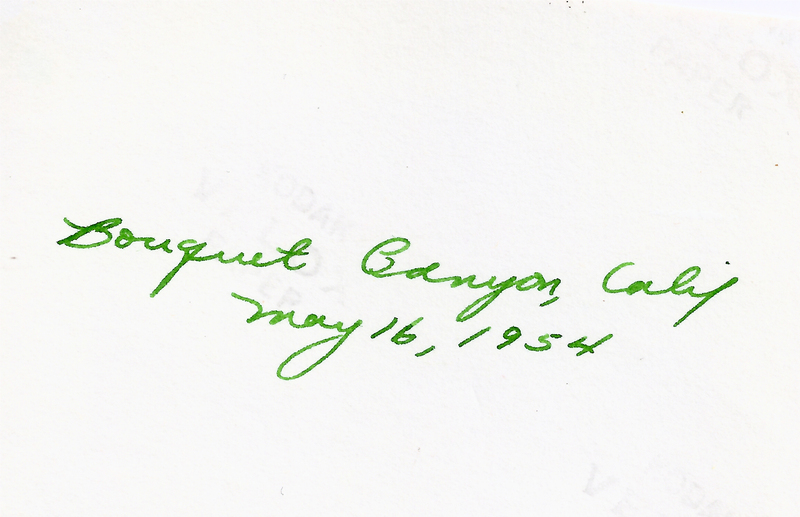 May 16, 1954 — Bouquet Falls in Bouquet Canyon. Anonymous photograph. LP5402: 9600 dpi jpeg courtesy of Lauren Parker. Online only.